Oh, Best Buy, you didn't tell us you had a brand new TouchPad in stock. We left our number and everything. Did we do something wrong? Why don't you ever call anymore? 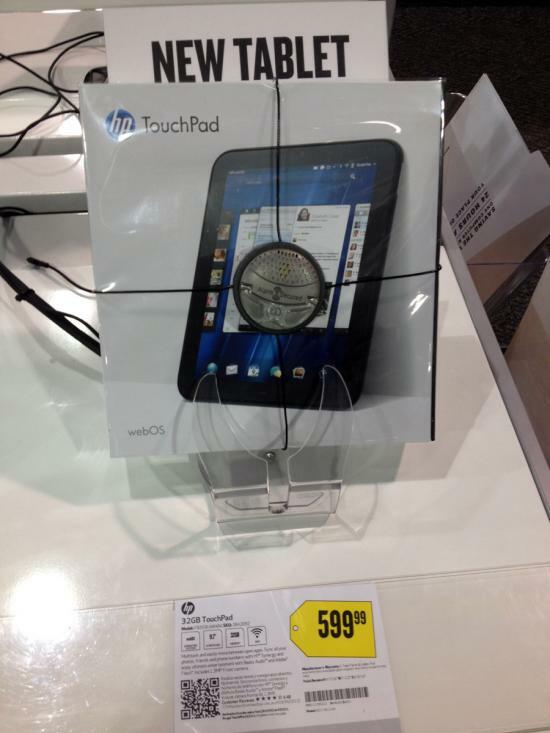 In all seriousness, we're not surprised that the Best Buy in Santee, California, found a brand-new 32GB HP TouchPad to sell. How it got on their shelves isn't likely to be a harrowing tale of dragons and sword fights and multitasking cards. Like tipster nfrisbie1, we're more interested in how this Best Buy location thinks they can get away with asking full list price - $599.99 - for a long-discontinued product that sells for close to a third of that on eBay, which is itself notably higher than the fire sale pricing that Best Buy previously honored. You so silly. Thanks to nfrisbie1 for the pic and Best Buy Store #1145 for the laugh!